This month’s community education piece comes from AED Market.com. Sudden Cardiac Arrest (SCA) can happen to anyone. SCA does not care if your young, older, or even if you are pregnant. The Center for Disease Control and Prevention released a study which tracked the causes of fatalities in pregnant women between 2011 – 2013, cardiovascular disease took the number one spot at 15.5%. When you think of a pregnant woman suffering an SCA a question might pop into your mind, can an AED be used on a pregnant woman? You may be concerned with harming the unborn child or maybe even doing more harm to the mother than good. According to the American Heart Association these worries should not be considered when trying to save the life of a mother experiencing SCA. In 2015 the American Heart Association released a scientific article stating that responders attempting to treat a mother suffering a cardiac arrest should not be concerned about harming the fetus by doing chest compressions or by using an AED. The AHA stated that neither compressions or an AED will harm the fetus. Not administering these life saving techniques will greatly decrease the chances for survival not only for the mother, but for her unborn child as well. There are a few different precautions that were recommended by the AHA if someone is in a situation where a mother is suffering from an SCA. First when calling 911 inform the operator that the victim is indeed pregnant, even if you are not completely sure. 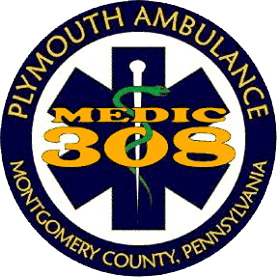 This will allow EMS responders to take special precautions, whether that is sending additional EMS responders or transporting the victim to a hospital that can perform an emergency C – section if required. The next step would be to start CPR, making sure to perform chest compressions the same as you would for a woman who is not pregnant. Make sure your compressions are hard and fast and targeted at the center of the chest at a rate of at least 100 compressions a minute. When administering CPR in pregnant women the AHA has advised to keep the standard cycle of 30 compressions and two breaths. If then the pregnant woman is revived she should be placed on her left side to improve blood flow to the heart which in turn improves blood flow to the fetus. So, if you ever find yourself in a situation in which you are attempting to save the life of a pregnant woman experiencing cardiac arrest do not hesitate to administer the same life saving techniques that would be used on someone who is not pregnant. More than one life could depend on it.